Every so often, people who read my reviews will accuse me of being on drugs. 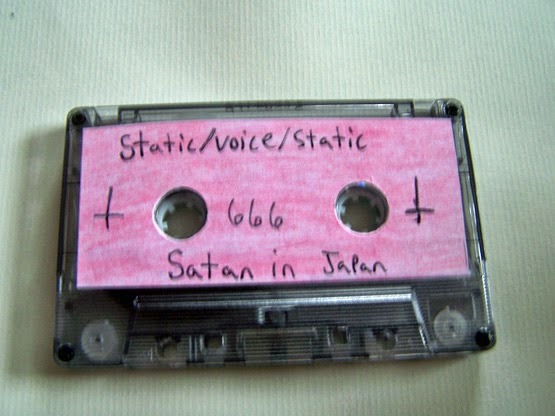 I’m not sure where they get that idea from though, because this cassette totally does start off sounding like the “Lion King” and if you don’t hear it then perhaps you are the one on drugs! Slow, static waves of noise give way to long drones. 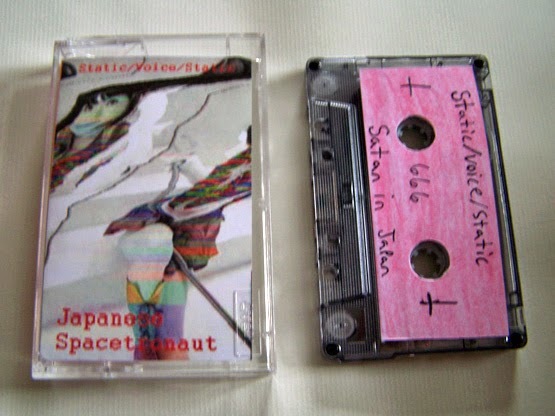 This is the third installment by Static/Voice/Static in their series of x/5 cassettes on Captain Crook Records, and yet for all the static I’ve heard I have yet to hear the voice, but I’m not complaining. Now I know that the United States has been to space and so has Russia, but don’t you think that the Japanese- being so technologically advanced- should have set up a Starbucks on Mars by now? (Caution: $10 cup of sludge water will burn your everything off… because Mars is hot) Is that what this title is in reference to? 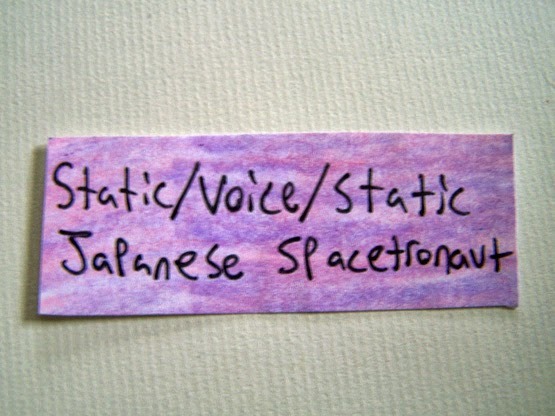 Or perhaps, on the other hand, a Japanese astronaut doesn’t exist simply because if we, as Americans, spent less time worried about getting into space maybe we could have invented a video gaming system better than Sega. In any event, this has some haunting ghost noises on Side B and begins to channel Illegal Wiretaps, which is always all right in my book. It also has that sound Darth Vader’s ship makes in the Return of the Jedi Atari game, and even when I find the technical music term for it I will still call it that. 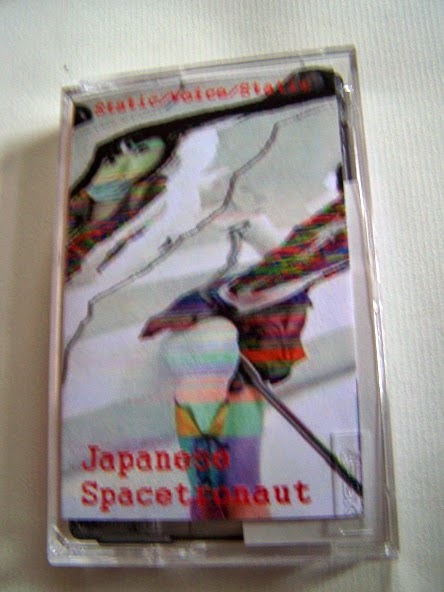 If you have the other Static/Voice/Static cassettes, this is obviously one you also need to add to your limited collection. 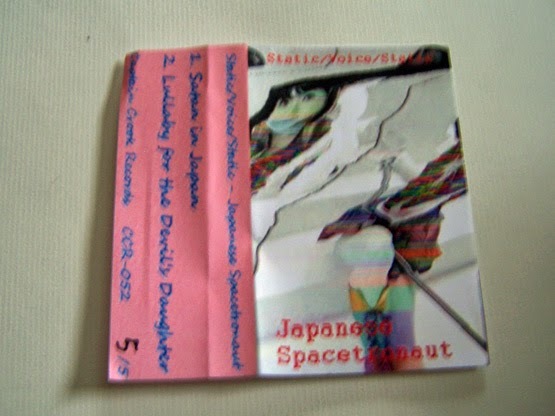 If you don’t have them, then you should at least download this (If the tape is sold out) and send Captain Crook a fiver for his troubles.